A small portion of the flowering stalk of Balanophora fungosa, showing female flowers at very high magnification. There are two kinds of structures here, which differ in size. The bigger ones are structures that are difficult to name. We don't know what they represent for sure--are they like petals, or are they some other kind of formation? 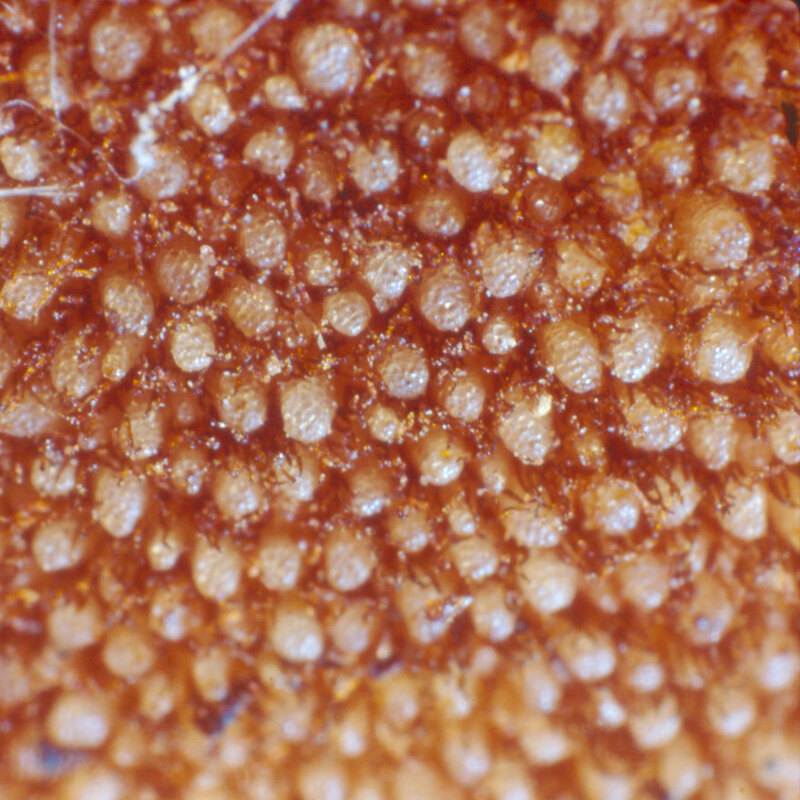 The tiny structures are the female flowers. If not the tiniest flowers in the world of flowering plants, they are close to being the tiniest.